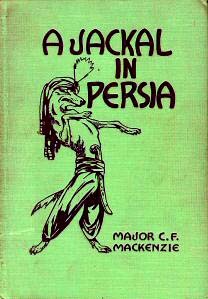 Ebay caption: This book entitled "A Jackal In Persia" is by Major C F Mackenzie and was published Doubleday Doran & Company of New York. This book is illustrated by K O S (Baroness Dombrowkski). The tales are adapted and abbreviated from the well-known Persain classic "Anwar-i-Suhaili". This book is written for the younger generation.